Sunny, cheerful 2 bedroom 1bath home with nice views and plenty of sky! 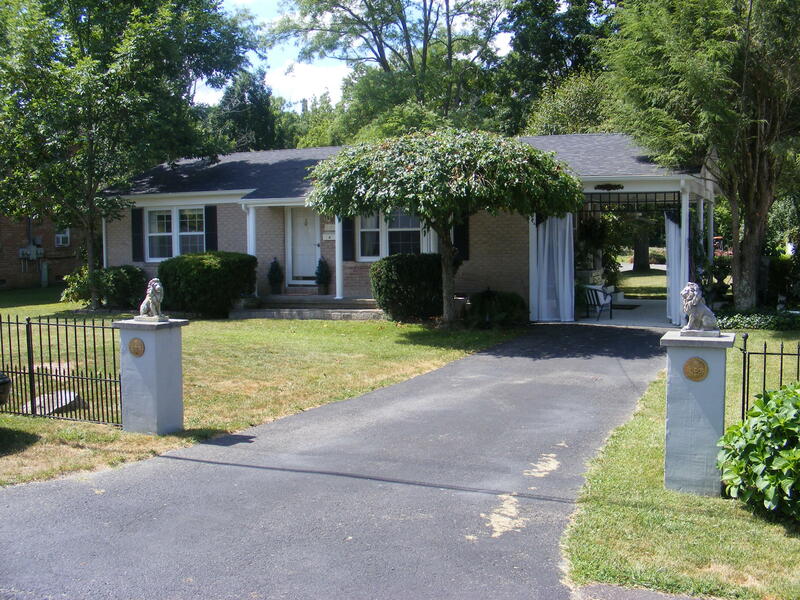 Located on a pretty side street in Villa Park, this property is adjacent to the Greenbrier Hotel and Sporting Club property and it is a short walk to the ball park and downtown. The home has large shade trees, a healthy lawn and mature landscaping. There is a huge, 28 feet long sun patio for BBQs. You can also have get-togethers and eat breakfast out on the shade patio while listening to the trickling of the water fountain. The roof and all gutters and downspouts are fairly new, having been replaced in 2012. Living room is open to the kitchen area and there are nice sized windows in the living room and the master bedroom. Bathroom has white ceramic tile tub surround. Come and check it out!